I often ask readers of my bird column, For the Birds, what they’ve been seeing out there in terms of interesting bird sightings. Every once in a while I compile the sightings and use them for my weekly birdwatching column. Here’s the latest, which ran last week in The Hour (Norwalk, CT) and this week in The Keene (NH) Sentinel. 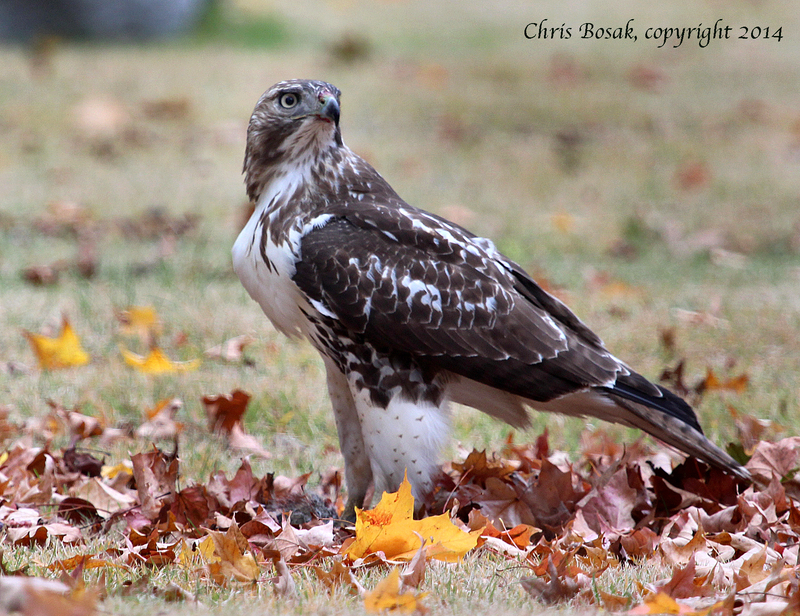 A Red-tailed Hawk eats a Gray Squirrel in a cemetery in Darien, Conn., Oct. 2014. I often ask readers: “What are you seeing out there?” Well, the answers I get are just as compelling and pertinent as what I see and write about each week, so here are some tidbits that readers have shared over the last few weeks. Why not start with Bald Eagles? Angela of Norwalk and Judy of Westport have written recently about Bald Eagle sightings. Angela saw her eagle in South Norwalk. The large bird of prey flew by her window and landed in an oak tree across the street where she often sees Osprey perch. “I hope it takes up residence here for the winter. I would be thrilled to see it again,” she wrote. Judy has seen her eagle perched high in a pine tree along the Saugatuck River. At one point, she witnessed the bird dive to the river and pull up a fish. Bald Eagles do visit more frequently in the winter, so perhaps this will be a good winter to see our national bird around here. A slightly smaller bird of prey has also been spotted several times by readers. I received a letter from Danny from Hampshire College who said an unidentified predator has been picking off chickens at the college’s farm. Based on the photo he sent, it looks a like a Red-tailed Hawk is the culprit. Gary from New Hampshire wrote to say he has seen Red-tailed Hawks on a few occasions catch pigeons near his home. Andy also shared a sighting of a Red-tailed Hawk in his backyard. He sent a photo, too, with the hawk peering down with a menacing look. He also sent a photo of an albino or leucistic Dark-eyed Junco. The photos, and other photos submitted by readers, may be found on my website http://www.birdsofnewengland.com on the “Reader Submitted Photos” page. I received an interesting phone call from Leona, another New Hampshire reader, who shared a story about crows in her backyard. “Bird brain” is often used as an insult, but we all know birds can be pretty smart, especially crows. Leona’s crows found a way to save trips while gathering and carrying away food. Leona put out crackers for the birds and instead of grabbing them and taking them away one at a time, the crows would stack the crackers and fly away with a bill full. Smart birds indeed. Finally, Joan shared a story about a lucky and determined chickadee. She saw the little bird hit her glass storm door. Expecting the worst, she approached the door to discover that the chickadee had actually gotten its foot stuck in a hinge of the door. Not wanting to let the bird fend for itself in that grave situation she grabbed a plastic flower pot and put it over the tiny bird. She then used a stick to free the bird’s leg. Joan set the flower pot on its side and took a few steps away to watch the bird. “He didn’t seem to be moving but was still breathing,” she wrote. “I then took a small container of water and dripped just a drop or two on his beak, which he quickly took in.” Here’s what happened next: “I was trying to decide what I would do with him overnight when all of a sudden, he moved his head, looked around at me and flew up onto a branch of a nearby tree about 15 feet up. He sat there for a minute, tipped his head to one side, gave a little “chhpp” and flew back toward the woods.” Joan concluded that “it’s nice to know there are still small wonders.” I totally agree. So, what have you been seeing out there in the natural world? Drop me a line and let me know. For the Birds runs Thursdays in The Hour. Chris Bosak can be reached at bozclark@earthlink.net. Visit his website at birdsofnewengland.com. Northern Cardinal at backyard feeder, Oct. 2014. 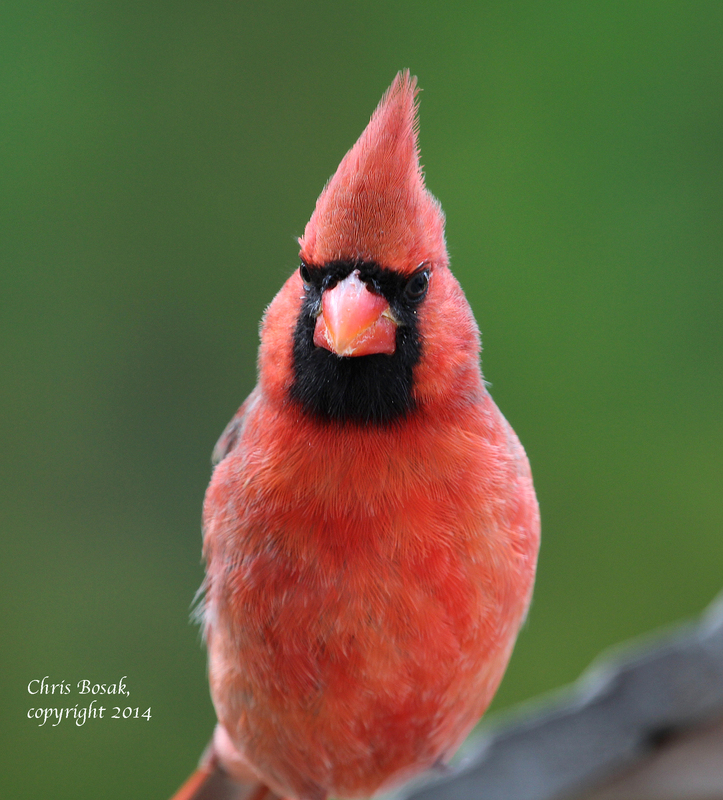 Getting back to my common backyard bird series … the Northern Cardinal is common, but certainly not plain. The cardinal is a favorite bird of many people — and it’s hard to argue. My favorite thing about the Northern Cardinal is that it is a year-round bird for us here in New England. It doesn’t fly south when the days shorten or temperatures drop, like most colorful birds we see here. It breeds here and remains here, giving us a flashy bird to look for all 12 months. 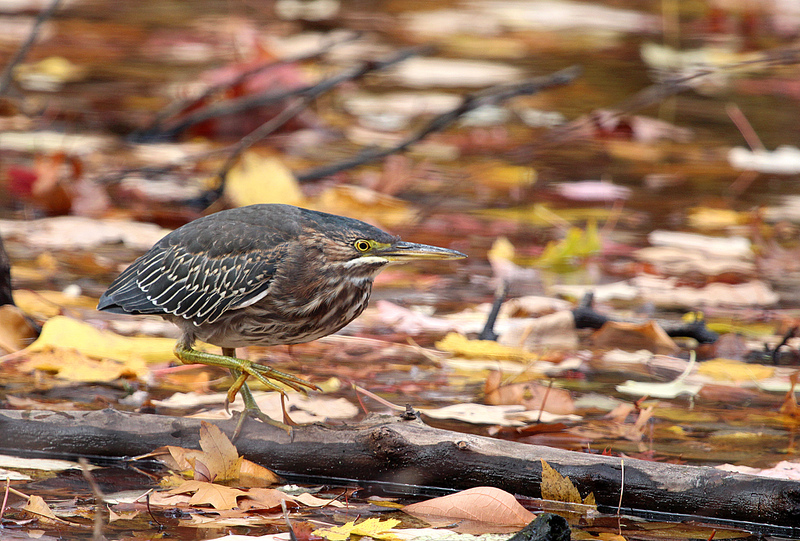 Green Heron in Darien, Conn., Nov. 2013. 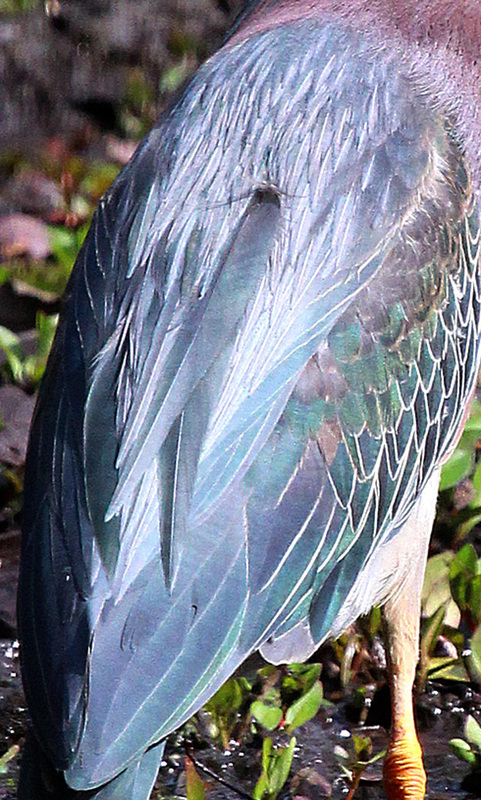 Here’s a few Green Herons photos I got last November. That is late for a Green Heron. 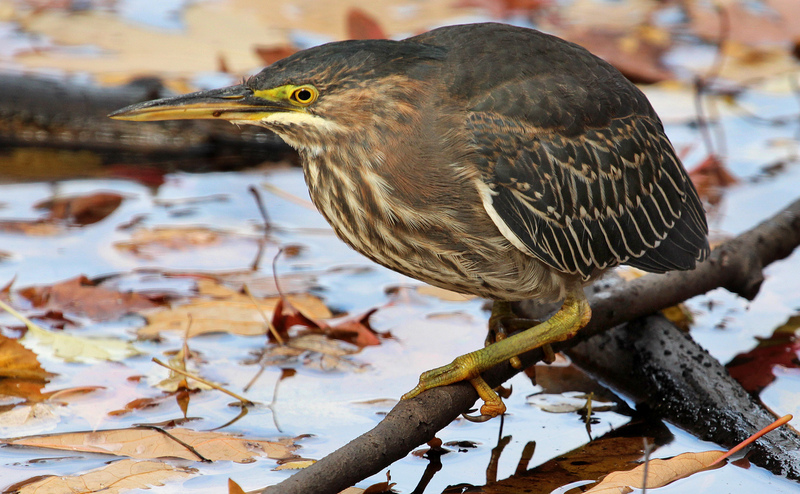 I’m posting now because my latest For the Birds column was about Green Herons and we are heading into fall. 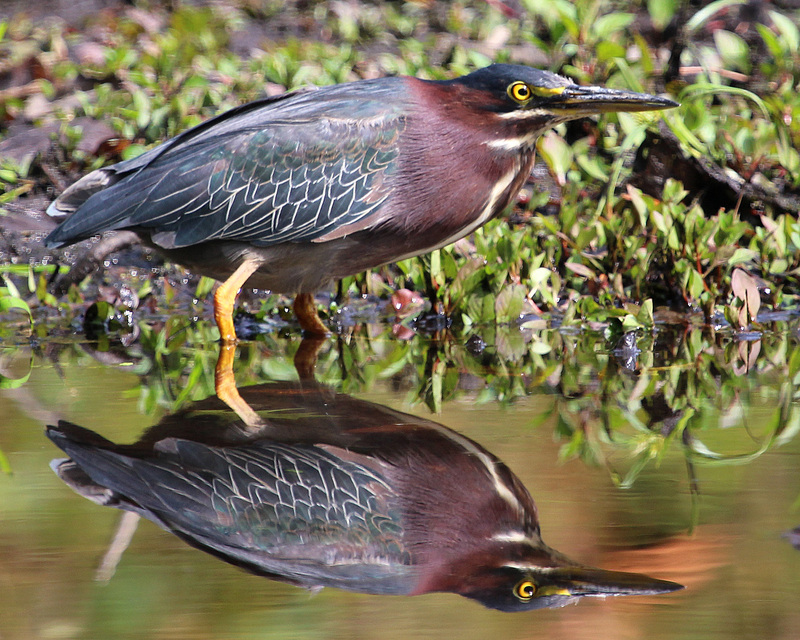 The universe seemed to be telling me to put a few more Green Heron photos out there. 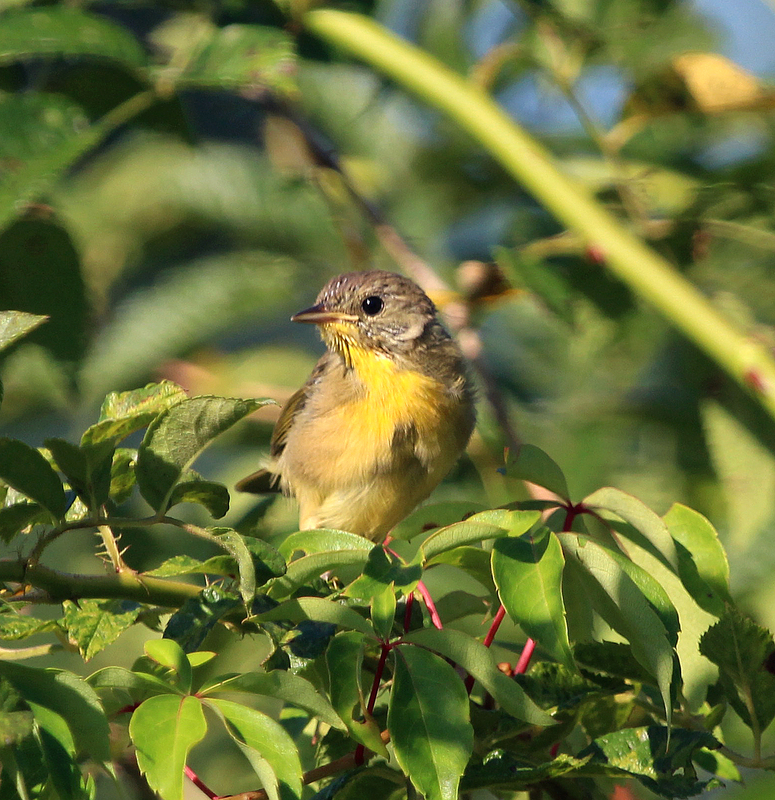 A female Common Yellowthroat perches in a tree in West Norwalk late this summer. I’ve mentioned before that the fall migration, for the most part, is less ballyhooed by the birding community. There are many reasons for this. 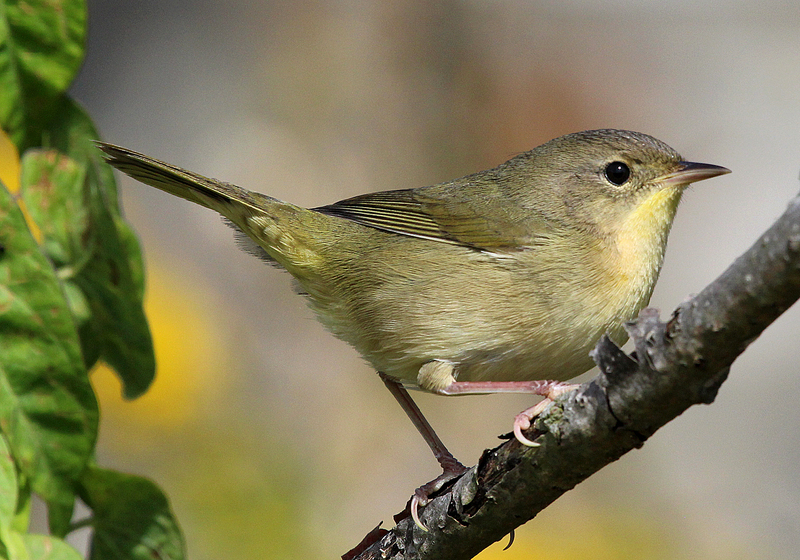 The spring migration is so eagerly anticipated because it follows winter (usually a harsh one in New England) and birders are itching to see signs of rejuvenation in the natural world. The early flowers do a good job of heightening our spirits, but there’s nothing like the birds’ returning to really get us out of the winter doldrums.